This week's Sprue Cutters Union question is: What is your modeling philosophy? It is true I don’t finish much and it is also true that the hobby does, at times, fill me with angst, but they aren’t part of my philosophy. For many years I struggled with the fact that, ultimately, I want to build the perfect model. (Notice I didn’t say an award winning model. I really don't care about that stuff.) I want to build a model that looks like what I have in my mind's eye when I purchase the kit. I started to realize perfection is both unattainable and unnecessary. These are just plastic toys, right? Even a less than perfect model on the shelf is better than no finished model on the shelf. So, right now I’m focusing on fun and enjoying the process. Rekindling my childlike sensibilities I had as a young boy when building a kit was the most exciting thing ever. Sure I’m going to take care. Sure, I hope I turn out an OK model, and, sure, I try to improve with each kit, but right now the focus is on fun. Fun is my new philosophy. Yet another plastic modeller's trying to keep it simple. Martin wants to enjoy it all. Kermit is all about fun. Havoc Models wants to keep it simple. The Eternal Wargamer is a rebel. Scale Model Workbench says if it feels good it's alright. Doogs is about the Zen. The Combat Workshop is all about his enjoyment. Airliners are something that I’ve always wanted to build, but for which I never really found the time , nor have I, shockingly, ever purchased any kits. 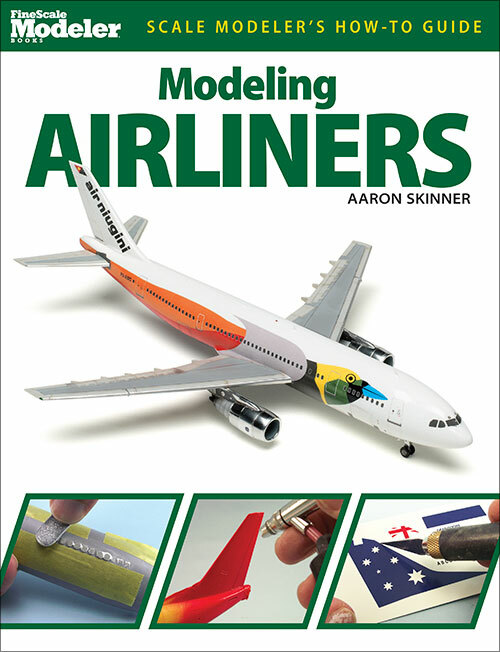 However, it appears to be the golden age of airline modeling with new kits being released every month, so I decided to order this book from Amazon and see what it had to offer. (That, and I’m kind of addicted to modeling books.) My order was not without some trepidation, as Mr. Skinner is a Fine Scale Modeler Editor and FSM has reached a level of simplicity to be almost useless. Vapid articles with no detail and the most basic tips and techniques pummeled into the ground issue after issue. 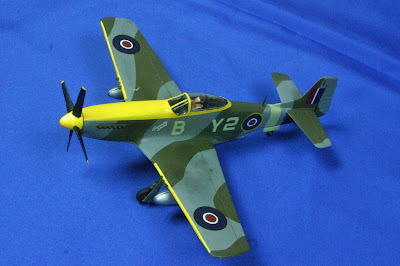 This issue's modeling column features an inbox review of the Kinetic 1/48 Tracker and a review of Valiant Wings Publishing new Sea Fury book. You can download the magazine and/or buy your print copies here. It never hurts to work in a little Keith Richards in a modeling blog now, does it? And it is very apropos being that this week's Sprue Cutters Union question is "What is the worst experience you've had with this hobby?" It really is an easy question for me. I used to claim that I was afraid of my airbrush, but I have learned to tame the beast. (Or at least realized that your skills at the airbrush are in proportion to how much you use it.) But every model there is one experience that I fear and that I lack even average skills...canopy masking. Always the worst experience I have with the hobby on each and every aircraft. I think I fear it even more than snakes. Heck, it stalls almost every project to the point that I almost never paint a model because I'm in fear of pulling up the masking and seeing paint on the clear parts, catawampus frame lines, and other such self inflicted disasters on the once pristine clear parts. Everyone says, oh man, it is easy. 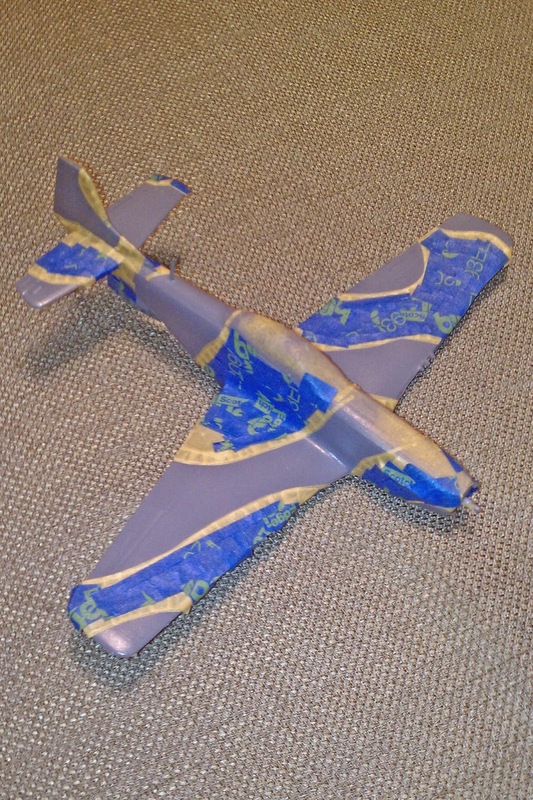 Just use little strips and squares of Tamiya tape. Really? You tell that to the guy who couldn't cut a straight line if his life depended upon it? Nope, it just isn't going to happen. Yea, Eduard masks help in theory, but my fear is so entrenched that I even am afraid of using that shortcut. Maybe I should just take up open cockpit biplanes. Mr. Knights cops out and refuses to answer the question. Lt. Smash's British Scout Car. Yet another plastic modeller's box opening frustration. Martin's Scale Models's frustration at forums. Doog is tried of the killjoys. 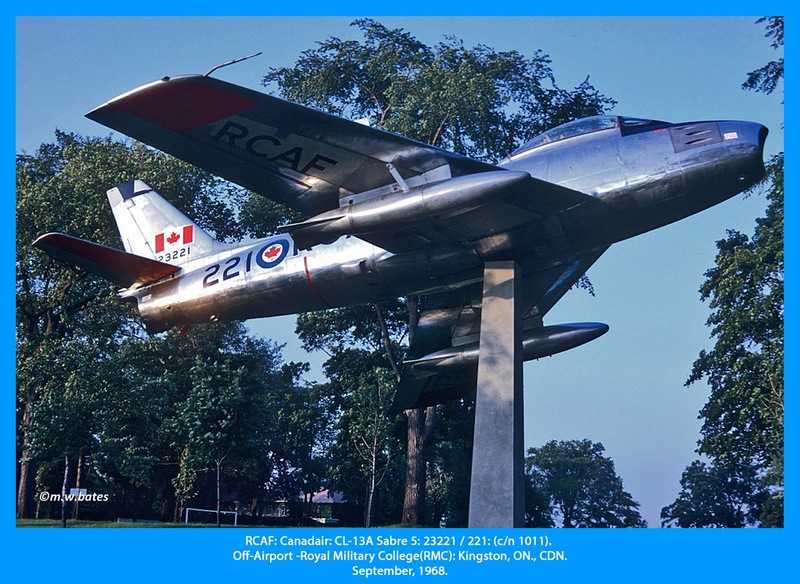 Now painted in camouflage, here is a nice photo my Dad took of the Royal Military College Sabre 5 23221 in 1968 at Kingston, Ontario. Modeler's Note: There have been many 1/72 scale Sabres, but the best way to a Canadair Sabre 5 is the recently issued Airfix kit. It isn't perfect...the wing fences are in the wrong place, some of the fuselage scribing is wrong, and the wheels are pretty bad...but it is a nice build, has accurate shapes and is very reasonably priced. 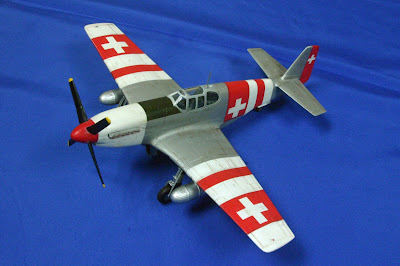 Oddly, many online love the Fujimi kit, but its fuselage is fat and bloated, not to mention the speed brakes are square. The Hobbycraft/ Academy kit is "derived" from the Fujimi kit and suffers the same deficiencies. I recently ran across The Combat Workshop blog that has started a modeling "blog carnival." I was immediatley suspicious...would there be scale clowns? After being assured it was just a loose assocation wherein a bunch of blogs get together and write on a similar topic, I decided to join in. 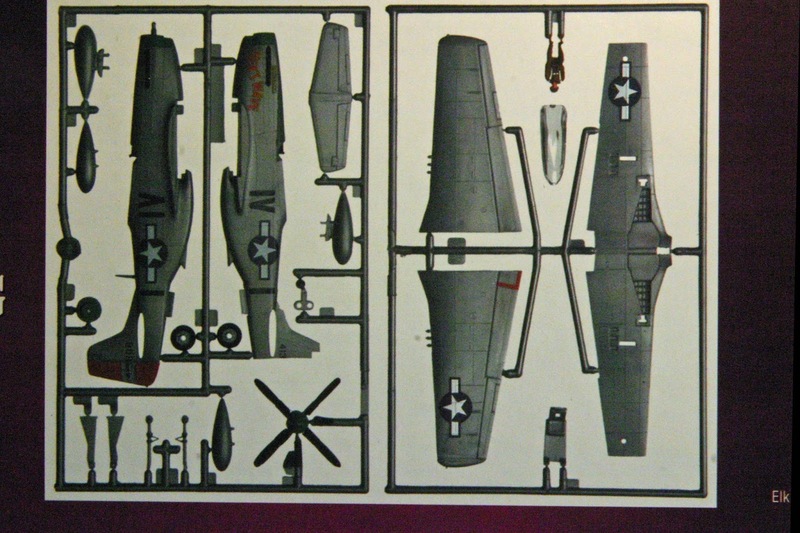 Called the Sprue Cutters Union, this week's question is "What is your favorite model kit ever assembled?" For a died in the wool 1/72 scale fan, my answer will probably come as a surprise. Sure, there are tons of awesome 72nd scale kits out there, but my favorite model kit is the Sweet 1/144 Hawker Hurricane. I am a huge Hurricane fan, so I decided to venture outside of my normal scale. I was so glad I did! The DogsChuffers Scale Model Workshop's Opel Blitz. Yet another plastic modeller's indecision. Kermit's Bench's He-111 and wooden schooner. 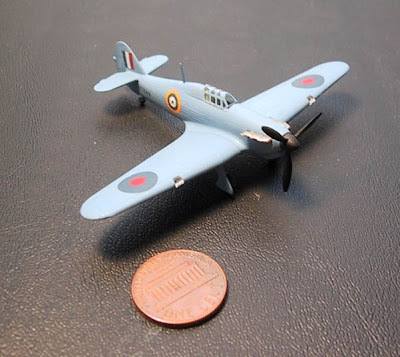 Tonight I decided to start the Hobby Boss Spitfire Vb "Easy Assemble" kit. Sure it has issues, but I hope to correct them with the use of spares from Airfix Spitfires. After less than an hour, here I am. Easy, indeed. My goal is to actually finish it this week and I hope to post progress each day. It will be done up as "Buzz" Beurling's T-L/EP706 with my interpretation of a "Malta Blue" scheme. Well, one of the most interesting of all Mustang schemes, and something that would look very different on a club contest table in Alabama (for sure) is the RCAF 442 Sqn pattern from around V-E day. These had the unusual “Loop” variation of the RAF day fighter scheme and bore a brilliant ID yellow “antiglare” panel and canopy frame. 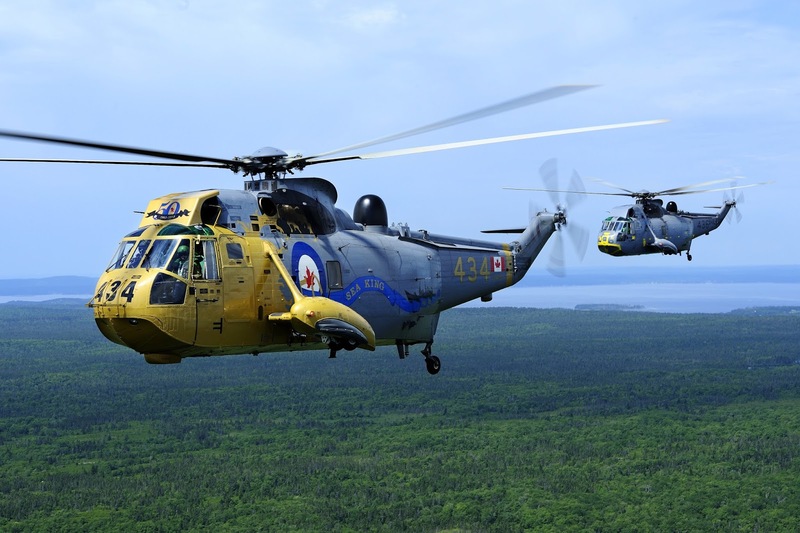 The squadron codes were arrayed unusually and trimmed with a fine yellow outline. Now, off to find decals. A kindly blogger from the frozen wastes offered me a spare set of Arrow Graphics decals for the scheme with a 1994 copyright date. There was a suggestion that these might be somewhat overscale, but more on that later. 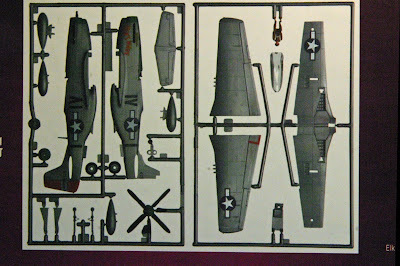 The Revell Mustang kit is circa 1974 (it says so in big raised letters right on the starboard flap undersurface). It is now available in a prepainted version, listed as 1/72 scale, and prominently features on the shelves of mainstream craft/hobby retailers like Michaels. Upon measuring, the wingspan scales out about 10% oversize, or about 1/65 scale. There are 21 parts plus the clear canopy. The canopy shape is distorted to facilitate snap-together assembly and the sliding portion of the canopy frame is molded as part of the fuselage. Panel lines are prominently raised throughout, but there are no rivets. There is no interior detail except for a nicely formed pilot. Neither the radiator intake nor radiator outlet flap is molded with any opening. No one here in Alabama is likely to recognize that the engine breather panel on the nose is “perforated” (represented by raised lumps) instead the louvered RCAF version. 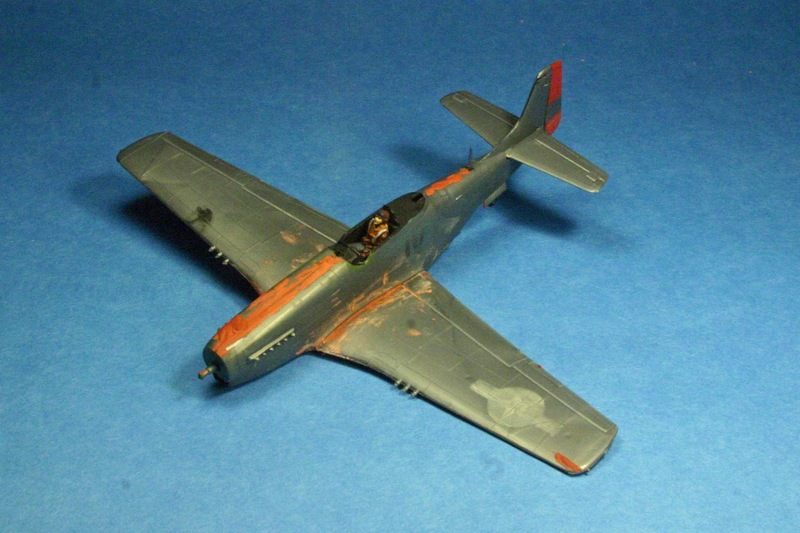 First, I stripped the preprinted markings from the wings and fuselage. I repainted the pilot to RCAF/RAF standards and painted the interior sidewalls black. 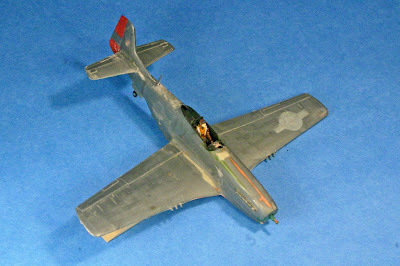 The interior shelf with pilot was located and the fuselage halves were assembled after cutting off the snap lugs. Fit was generally poor. The wings come as a single lower piece and the upper halves mate no more poorly with the fuselage than any vintage Airfix kit. I used a styrene shim in the gap of the port wing to get the dihedral even. The wing thickness was altered by removing the snap pins so the flaps and ailerons molded into the upper halves stand proud of the wing lower surface. The tailplane passes through a slot in the fuselage halves with plenty of space to spare. A lot of red auto filler putty and many rounds of putty sand repeat were needed. The underside wing to fuselage seam proved unfixable, due both to the changed thickness and its location adjacent to the radiator scoop. Oh, and I sanded off all the manufacturers copyright lettering on the flap, too. Final seam filling involved Mr. Dissolved Putty in many places and thick CA glue where flexing was a problem along the wing seam. The canopy to fuselage joint was atrocious. I thinned the snap lugs and hand painted the coaming and deck flat black. After a dip in Future, I blackened the lower edge of the canopy with a paint marker and tacked the clear part in place with CA. I carefully masked the canopy. The unusual size and shape prevented me from using any precut masks, so I did it the old fashioned way. Then I used thick CA to try to fill the gaps, this was followed by Mr. Dissolved putty and plenty of sanding to smooth the joint. After all the sanding, it was no longer evident that there was a sliding hood. I then masked the outline of the metal canopy section and doubled up the tape thickness. I filled to the level of the tape with Mr. Surfacer 500 in multiple layers and sanded until I was back down to the tape. Removing the tape left me with a subtle, though nowhere near perfect, canopy frame. I then primed the airframe with Floquil enamel primer and addressed a few more small seam cracks and sinkmarks. Next a Tamiya flat white undercoat went on along the antiglare section and the wing leading edges. A coat of Tamiya Flat Yellow stood in for UK ID yellow in the same spots. 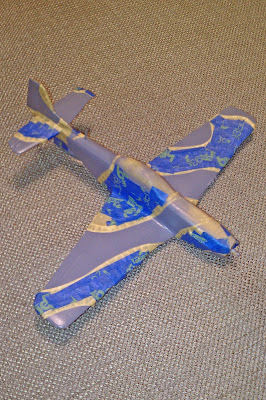 After that was masked, I used Tamiya Sky for the fuselage ID band. Once that was masked, Life Color FS36270/Medium Sea Grey went on all undersurfaces. I used Tamiya Ocean Grey for the primary upper color, which was then masked for the Tamiya Dark Green disruptive pattern. As a dyed-in-the-wool enamel user trying to make the switch to acrylics, this is the first kit where I’ve used Tamiya as my primary paint. I have to say I love it, and had no problems at all. I think it will be my first choice from here on out. The drop tanks were sprayed PollyScale Aluminum (which did not go as well) and the pylons touched up by brush with the Life Color Medium Sea Grey. Late Mustangs seem to have gone over to zinc chromate in the wheel wells, so I brush painted Tamiya chromate yellow in the spuriously ribbed main gear wells. I touched up the tires with Tamiya NATO black. Decalling got off to a great start. I chose to begin with the fin flashes because I had plenty of spares if something went wrong. After trimming to correct a minor color registration problem, they went on like a dream. The same was true for the serial numbers. Things were looking good for 20 year decal sheet. The yellow backing circle for the fuselage roundels was quite translucent but would serve OK. Next up, the roundel itself: it shattered mercilessly as soon as I started to move it from the paper. Ouch! It’s just a roundel though, and I’ve got plenty of those in stock. Amazingly, not one was the size to match the yellow ring, and none of my yellow ringed C1 roundels was the same size as those on the sheet. I wonder if that size issue, and the rather large “Edmonton Special” personalized script under the port windscreen was the source of concern about the size of the markings. I quickly coated all of the remaining markings with liquid decal film. I found a couple reasonably sized type C roundels for the wing upper surface and figured I was safe. I was wrong. Even with the liquid film, I had recurrent problems with markings cracking around the edges and them curling up as they dried. Eventually everything went on, but all four wing roundels are from other sources. I decided to sharpen the masked edges of the wing ID panels with thin strips of yellow decal. This helped their appearance considerably. Future was necessary to hold most of the decals down tightly. In the end, the markings are messy but acceptable from the 3 foot intended viewing distance I planned for them. Final assembly involved adding the landing gear and drop tanks. Amazingly, the mold-in fuselage aerial mast remained intact throughout the entire build. In summary this was a tough build. I didn’t much care for the kit and my much-desired markings turned into a thrash. However, I was a good citizen, played along with the club’s rules, and brought an attention-getting model to the table. As an aside, the other SnapTite Mustang on display was the 1/48 Pegasus kit, also done with colorful markings by club member John Hassard. Modeler's Note: To the best of my knowledge there have been four 1/72 Sea Kings. Revell's is probably the best, but it is a Westland version, Cyber Hobby's is the newest, Fujimi's is older but workable, and Airfix's is in need of retirement. 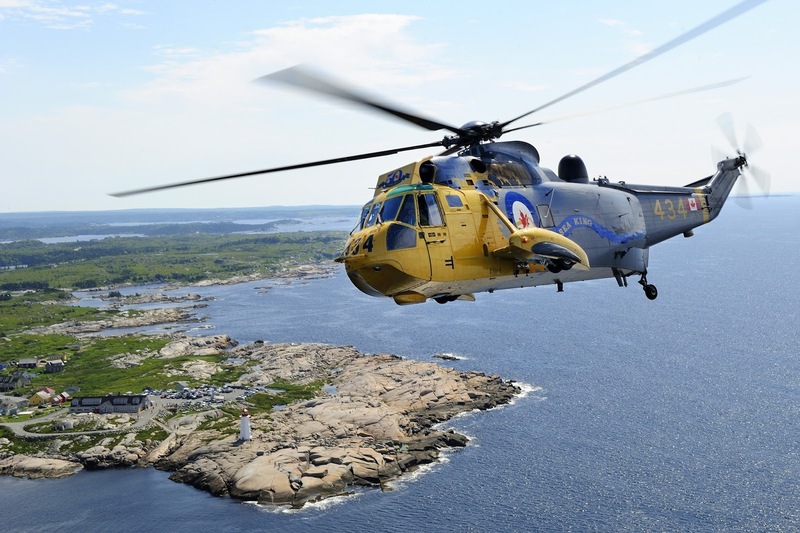 In all cases they will need modifications to build a Canadian Sea King. Look for a review of the new Cyber Hobby kit in a forthcoming issue of the RCN News Magazine.